This DIY yogurt, cucumber, & honey face mask is all you need to get bright, smooth, and glowing skin! 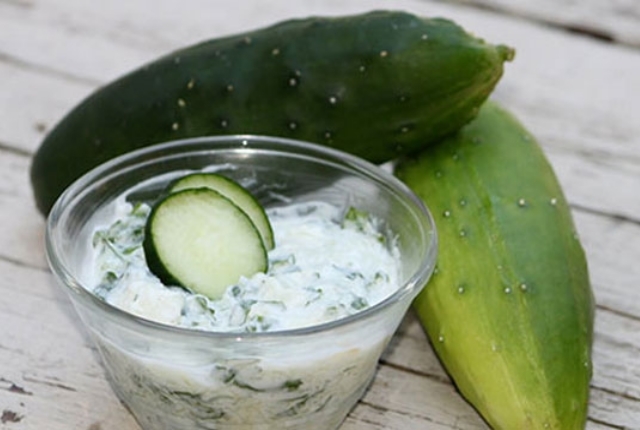 I love snacking on cucumbers and greek yogurt with honey is one of my favorite breakfast treats. And while those things are yummy to eat, they are also so beneficial for your skin! Cucumber is essentially water and when applied to the skin helps hydrate and nourish, giving skin a fresh look and feel. 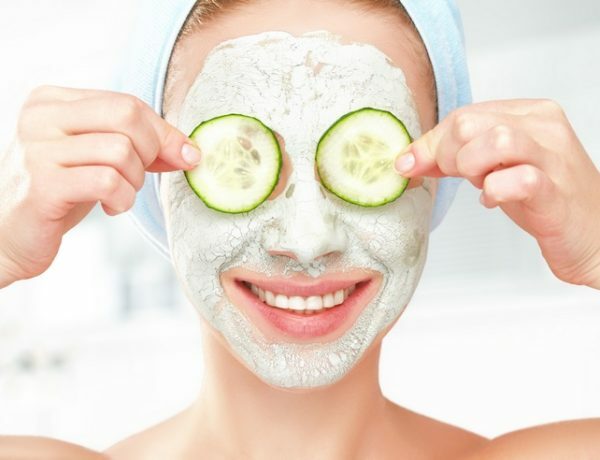 Cucumber also helps reduce puffiness and inflammation, while evening out the skin’s complexion and tightening open pores. Yogurt can help fight wrinkles and reduce fine lines. The lactic acid removes dead skin cells while also shrinking and tightening the pores which delays premature aging and gives the skin a healthy, youthful glow. Yogurt also contains antibacterial and antifungal properties which can kill toxins that build up on the skin and prevent breakouts and acne blemishes. And, when used regularly, yogurt helps to even the skin tone and brighten dull skin due to environmental exposure and aging. Honey, in all its sticky glory, is one of nature’s antibacterial powerhouses that will help ward off any unwanted bacterias on the skin preventing breakouts and other acne issues. It’s antioxidant content helps slow the effects of aging on the skin and honey is a natural hydrator that will lock in moisture and soothe dry, irritated skin. Combine all ingredients in a blender and blend until the mixture is smooth and creamy in texture. You don’t want any clumps left. First rinse your face with warm water then apply the mask and gently massage into face for 2 to 3 minutes. Allow to sit 15-20 minutes then rinse with warm to cool water and pat dry. Use once a week or daily for best results! Did you know that this face mask can do double duty? Apply to dry, unwashed hair to replenish moisture, fix split ends, and add a ton of shine to otherwise dull hair! The lactic acid in yogurt will help exfoliate the scalp, getting rid of dead skin cells, and therefore encouraging fast, healthy hair growth!